“Edge of Tomorrow” follows William Cage (Tom Cruise), an officer of the United States, whom is forced to fight in an alien invasion. While in combat, he gets infected with a virus that causes him to relive the same day over and over again after he dies. Once Rita Vrataski (Emily Blunt) finds out of his ability, she recruits him onto a mission that will end the invasion once and for all. Now I know what you’re thinking. And many other critics have said it already, so I’ll just breeze through this comment. It sounds like “Groundhog Day” meets “Source Code” meets “The Matrix” meets “The Terminator” meets “Starship Troopers,” yadda yadda yadda. We get it. This isn’t necessarily the most original film on it’s surface. However once you delve into the movie’s core, you’ll realize that “Edge of Tomorrow” is not only just as inventive and creative as those films – it’s just as good. The summer of 2014 so far has had blockbuster after blockbuster that has surpassed the quality of the last. Even with the abysmal start with “The Amazing Spider-Man 2,” it went up to greatness with the hilarious comedy, “Neighbors.” After that, we got what I believe is the best monster movie since “Cloverfield” with the newest iteration of “Godzilla.” Then just one week later, we get the best X-Men movie yet with “X-Men: Days of Future Past.” I had no idea that it could get any better than that at least for a while this entire summer. Somehow, “Edge of Tomorrow” is so expertly crafted and so brilliantly executed that it has potential to end up on my top 10 favorite films of the year list by the end of the year. Tom Cruise has always been an actor that I have a tremendous amount of respect for. The guy has made it clear that he loves his audience and wants to make the best movie possible for them. Here, he goes outside his comfort zone and plays a character that I thought I would never see him play. I’m so used to seeing him as a naturally gifted badass that when this film begins with him pretty much being a coward, it was surprising. Yet to my surprise, it pulled off wonderfully and shows just how gifted of an actor Cruise really is. The incredible screenplay also provides a lot of positive for this film. It takes a lot of completely unexpected turns and makes every single scene unique from each other. It’s so easy for a film repeating the same events over and over to feel repetitive after a while, but the screenwriters add such great dialogue and construct brilliant new ways to make each restart more and more creative. It almost feels like the experience of playing a video game and dying over and over, but there’s no controller in your hand. Normally, that would be a bad thing, but since this film is so ridiculously entertaining, no controller is needed to have fun. And that is due in large part to the expert direction by Doug Liman. His style makes every scene flow so nicely and is so much fun to watch that you can’t help but grin from ear to ear during every scene. It doesn’t even have to be an action sequence for the film to grasp your attention. Every scene with characters interacting is so engaging and so funny that there’s never a dull moment in this nearly 2 hour film. Now I don’t want to go into too much detail about the ending of the film, but I’ve noticed that it has caused some mixed reactions. Kinda similar to last years, “The World’s End,” the film takes a very bold turn within the film’s final minutes that will divide the audience right in half. As for me, I’m on the side who thought it was a gutsy move that payed off extremely well. 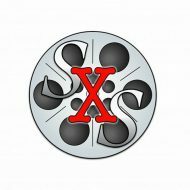 It may not have been as perfect as the rest of the film, but it seemed like a great way to end it in a nice little bow. Overall, “Edge of Tomorrow” is a mind-blowing sci-fi action film that I worry will get overlooked. Since many people look at the trailers and just see another “Oblivion,” I worry that they won’t give it a chance. But I implore you all – you MUST see this film. I feel guilty for saying it’s the best blockbuster of the year just a couple weeks after “X-Men: Days of Future Past,” but I just can’t help it. This is a truly special movie that I’d gladly play on repeat on Blu-Ray. Overall, I give “Edge of Tomorrow” an A. 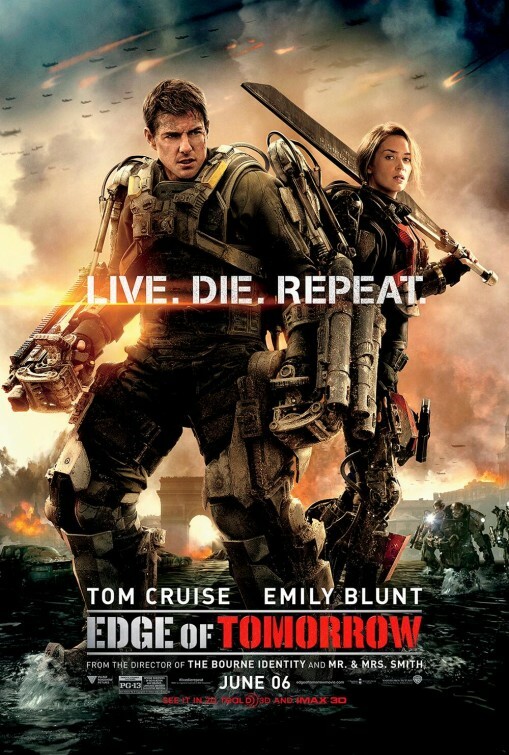 What did you guys think of “Edge of Tomorrow?” Do you agree? Disagree? Leave your thoughts down below in the comments section. “Edge of Tomorrow” is now playing in theaters in 2D, 3D, and IMAX 3D.